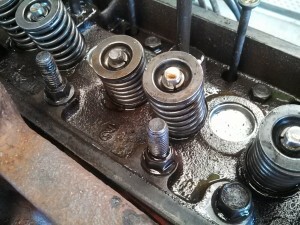 You never know what you are up against until you pull the valve cover and the head. 1 stuck valve could have been a bent pushrod. 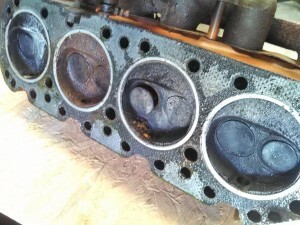 1 stuck piston could have been a bent connecting rod. 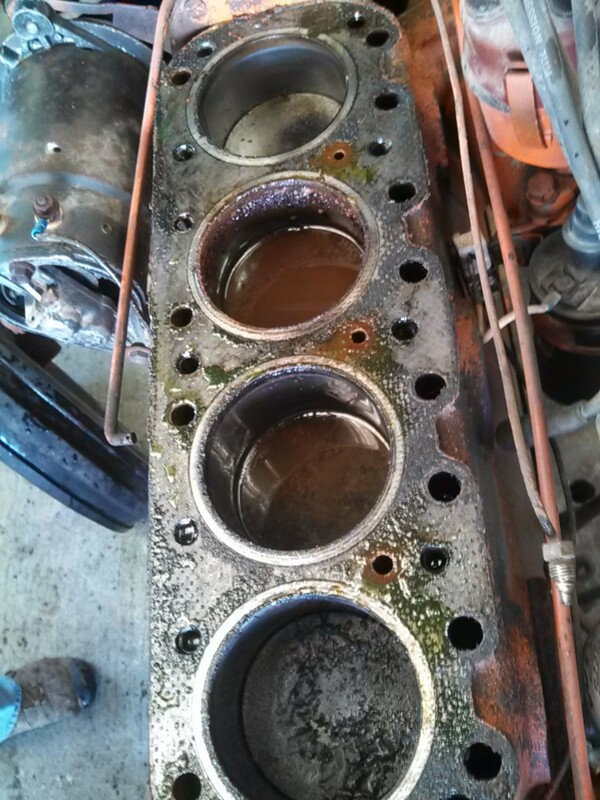 So… At least rebuild head, and clean up bore on 1 piston. Possibly have to rebuild engine. Won’t know until I pull oil pan and inspect rods and mains. 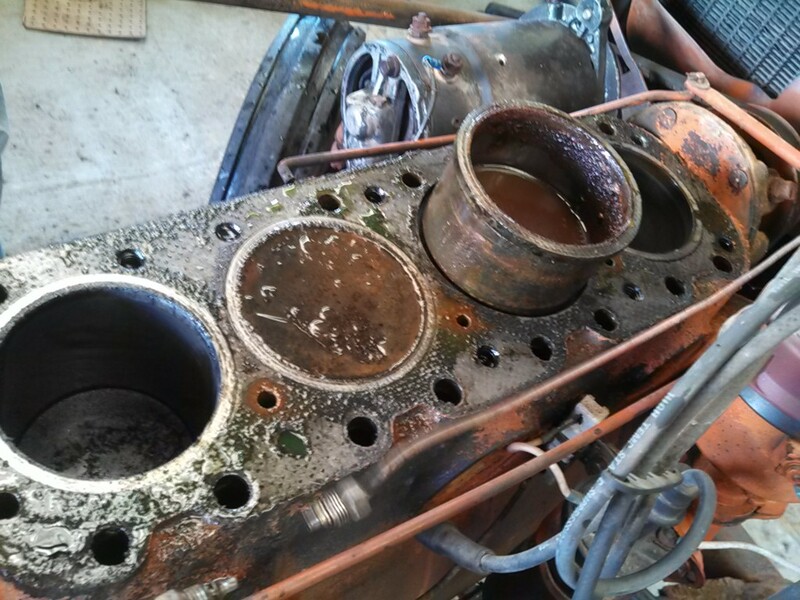 Oh, by the way, this engine was previously rebuilt. I’m tired. I think I will call it a day and speak with the customer tomorrow. Had a nice visit from a customer from WI. We couldn’t fit a pair of 12×28 rims in his hybrid, so he took a couple of small parts. Kinda took the rest of the day off to spend with my sons running errands. Had planned to mow with the Allis 712 Hydro, but it has been dying after about 30 minutes of use. 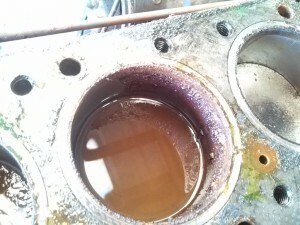 Gave the engine a shot of sea foam, and worked it hard for 40 minutes. Success! So I headed for the back country to mow some older trails we don’t use often. Of course near the back, it sputtered and died. Not Success. Used the golf cart to drag it back to the shop. Definitely the exhaust valve hanging up. Plan to pull head and put eyes on the valve. Will try to include pics. Now that we have completed the Pawnee Oklahoma show it’s time to get some projects wrapped up and started. The D19 clutch is done and works well. 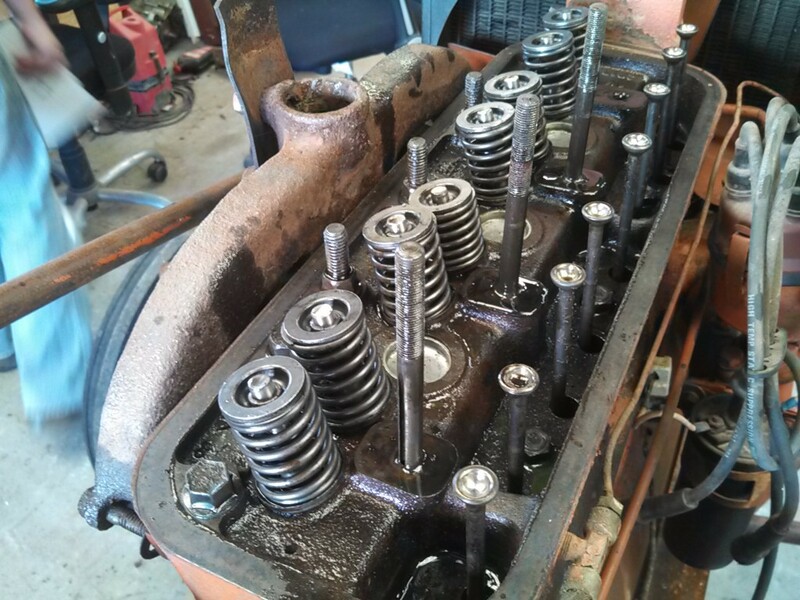 Unfortunately, the job to fix the 3rd gear jump is just too much for the value of the tractor. So the family is picking it up to use on the farm as-is. It was a family tractor so the sentimental value is there, and they have replaced it with a modern chore tractor. So it will just get light duty. The CA has been dropped off, and will be in the shop soon. 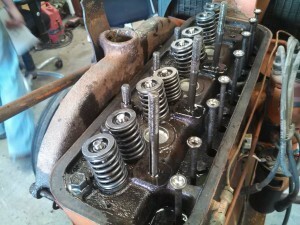 Engine was rebuilt in the past by someone else, and never ran right. Now it won’t start. So we’ll be tearing into it. Carlton will probably take the lead since this is our busy sales season, and he is VERY familiar with the 125 class of Allis Tractors. We will try to get some pics of progress up. Wiring diagrams, 12v conversion tips, and many other handy items for the Allis Chalmers Owner. Duey’s page.